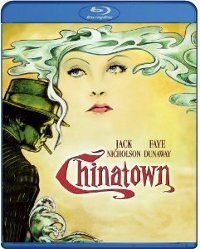 Chinatown is an American masterpiece, a great film released in a year full of great films. 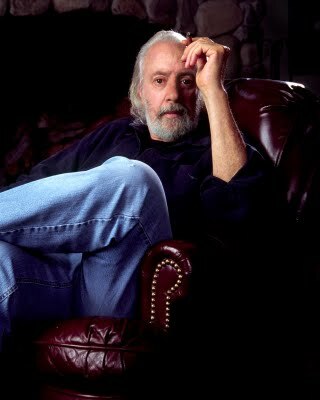 It was nominated for 11 Academy Awards, but in the face of “The Godfather Part II” (among others), it won only a single Oscar: Best Original Screenplay by Robert Towne. It is a magnificent original script, a great American novel written directly for the screen, and it confirmed Robert Towne as one of the finest screenwriters of his generation. Chinatown makes its long-awaited Blu-ray debut this week from Paramount in an edition with commentary, interviews, and featurettes, and Robert Towne agreed to a few interviews to mark the occasion. So for a brief ten minutes, I had the pleasure and the honor of asking him about the film, the disc, the collaborative nature of the production, and of course what he’s been watching lately. I wouldn’t want to tell you the last movie I saw because I walked out on it. I so disliked it. The thing that I guess I’ve been watching lately is what a lot of people have been watching, which is Downton Abbey. Have you seen it? I missed the first season and caught up with it in the second, which took them through World War I. You really should start with the first, it’s really quite wonderful. But that’s what I’ve been looking at lately. There are some movies I want to see but I still haven’t been there. I still like going to the movies but there are so many movies that are depressing without being revealing of much of anything and I sometimes wonder how we can hold on to an audience with films like that. But there are certain films and filmmakers I still like. I like very much The Social Network, I like Fincher very much, as you can tell. I mean, we worked together on the commentary. The commentary track on the “Chinatown” disc is superb, and I appreciate that someone with Fincher’s insight was brought in to engage you on the film. I think it was particularly good to work with David on that. But the people that were on that disc were so thoughtful. Steven Soderbergh… There were a lot of good people associated with that. Filmmaking really is unique in the storytelling arts in that it is such a collaborative art and watching the interviews on the disc reminded me of that all over again. You created J.J. Gittes in your screenplay, yet so much of Gittes’ character comes out of the way that Jack Nicholson played him. It’s more than the way he plays it. I had watched Jack improvise for six or seven years in an acting class so, yes, so much of it comes out of the way Jack plays it, but so much of the way it was written comes out of my ability to have watched Jack work over the years so those elements in Jack’s character as Gittes were really inspired by years of watching Jack improvise and work. In that sense, he was sort of a hidden collaborator because I would imagine what he would say in any given number of situations. So it’s truly collaborative in that sense. 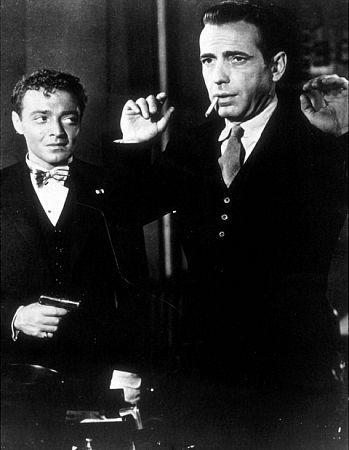 The Maltese Falcon is the best private-eye melodrama ever made. San Pietro… is generally considered to be the finest of war documentaries. Treasure of Sierra Madre… is the clearest proof in perhaps twenty years that first-rate work can come out of the big commercial studios…. To put it conservatively, there is nobody under fifty at work in movies, here or abroad, who can excel Huston in talent, inventiveness, intransigence, achievement or promise. The Maltese Falcon: "the best private-eye melodrama ever made"? Huston is still coasting on his reputation as a wronged individualist with an alibi for every bad movie…Huston has confused indifference with integrity for such a long time that he is no longer the competent craftsman of The Asphalt Jungle, The Maltese Falcon, and The African Queen, films that owe more to casting coups than to directorial acumen.